SPRING. 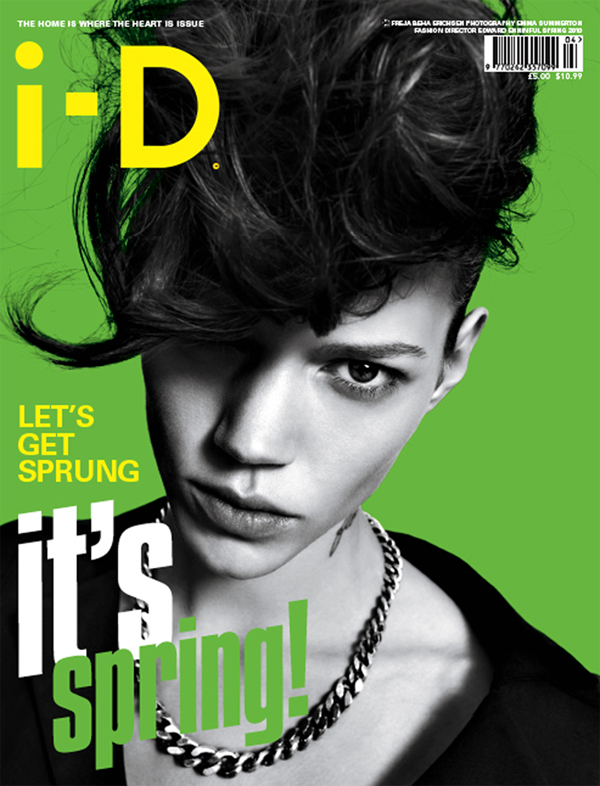 Freja on the cover of i-D’s “home is where the heart is” issue, looking stunning !! Cover is amzing and beautiful and I like those spring colours! I think this cover is so cool, it’s my favorite of the three variations for this issue, the green color is awesome! I love this cover, she looks amazinggg! I love this cover, so cool! Dammit. She’s so beautiful. Thanks for posting this. Ahhh, it looks like they’ve gone back to old school i:D, yayyyy! Love her face structure! She is gorgeous, I need this issue! Love the cover and your blog. How freaking AAAAAAAAamazing is Freja! I love she is such a hit right now. Die for her beauty! .. there are no words!! She totally rocks it! Love love love her!